Despite multiple assurances to the public that conditions are safe for racing and training, another horse died over the weekend at Santa Anita Park, bringing the total number of equine casualties to 23 since late December. The horse, Arms Runner, was mid-race Sunday when he fell and collided with another horse, according to a statement released by The Stronach Group, the company that owns Santa Anita. The Los Angeles Times reports that Arms Runner suffered an injury to his right front leg and was euthanized. The other horse, La Sardane, survived the collision. 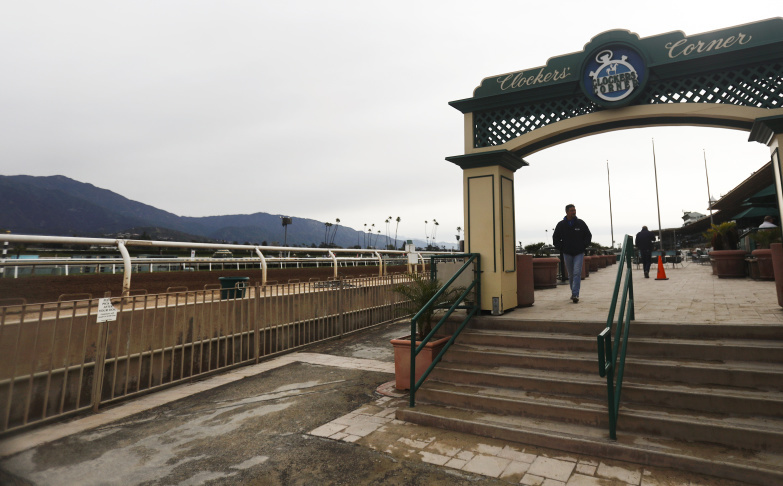 Arms Runner's death came just two days after the park reopened, having closed its doors for racing for several weeks to address the cause of the initial 22 horse deaths. Protesters were outside Santa Anita Park Friday when the track reopened, holding signs and chanting, "how many horses died today?" On March 14, following the death of three-year-old filly Princess Lili B during training, The Stronach Group announced new measures designed to protect the health and safety of their equine athletes; enacting a zero-tolerance policy for game day medication, and reconsidering the way jockeys use riding crops. "The health and welfare of the horses will always come first," the company said in a statement at the time.